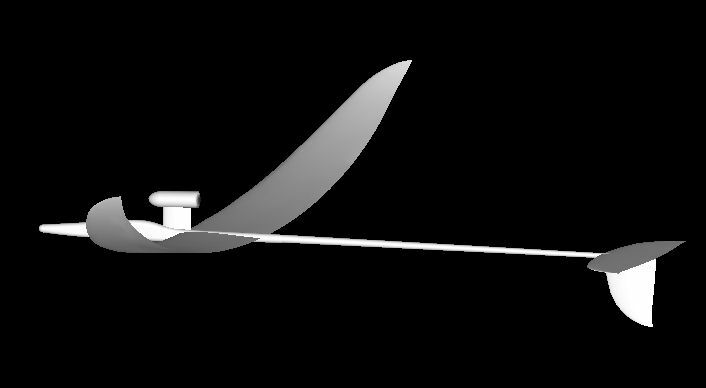 The RAK2 is an evolution of the RAK1 (2nd place at the 1994 S8E worlds). It was developed and built in September 1996 for the S8E Worlds 1996. 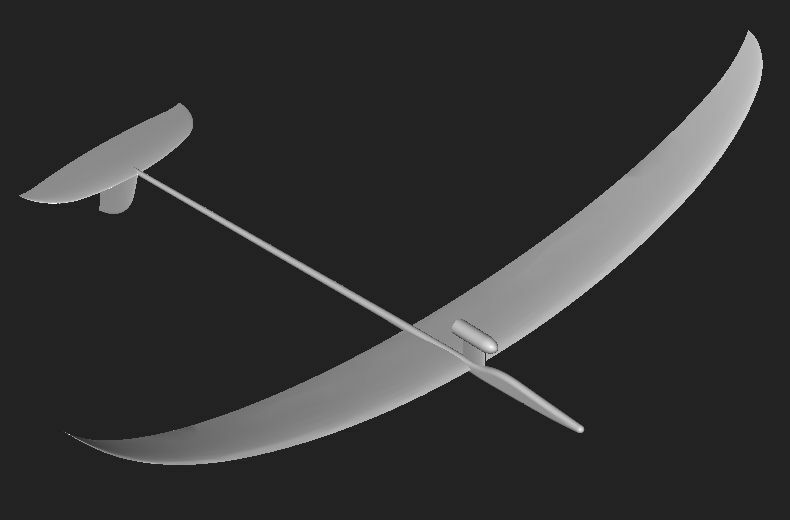 These kind of models climb at some 60 m/s (200 ft/s, or 135 mph) vertical into the sky in order to get maximum duration for the glide phase. Propulsion: Rocket motor with a total impulse of 40 Ns (more than 1 lb thrust for 8 seconds). RC System: Graupner/JR mc-12 PCM receiver, modified Volz servos, Sanyo 50 mAh receiver battery.